This acquisition will enable CareerTours’ platform to expand into local and industry specific markets. Phoenix, AZ, October 24, 2007 --(PR.com)-- CareerTours, the fastest growing online recruiting resource, has acquired Digital Internet Advertising Properties, a unique internet source providing local and industry specific career boards. This acquisition will initiate CareerTours’ unlimited growth into niche markets. The acquisition of Digital Internet Advertising Properties has supplied CareerTours with 325 current internet destinations. Included in these domains are both geographical and industry career sites such as www.PhillyCareers.com – a leading local Philadelphia career site and www.JobwithAutos.com – a leader in the automotive world. This business opportunity launches the first step in the future of CareerTours which includes generating geographical and industry specific websites to assist in market segmentation. CareerTours’ business plan includes launching geographic career sites in all major markets as well as industry specific career sites with www.NursingTours.com and www.PoliceTours.com to be the first to launch. By launching these niche career boards, CareerTours’ platform can be leveraged and expanded to reach the passive candidates in these industries and cities which will add great value to CareerTours’ clientele. CareerTours will continue to grow through acquisitions, partnerships and organic growth. Former CEO of Digital Internet Advertising Properties, TJ Loftus, has also joined the CareerTours Team to contribute his years of experience within the industry. “I joined CareerTours because of the magnetic energy that pulled me in. I truly had to be a part of the team and mission of recruiting great, quality people to make other businesses successful. From my first experience of CareerTours I knew I could express my passion for sales in a positive way by helping the team and every company we touch” says TJ Loftus. 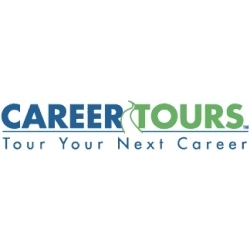 CareerTours (www.careertours.com) is an internet based recruiting resource that allows career seekers to experience companies through profiles and Video or Audio CareerTours. The CareerTours solution was developed with the single purpose of eliminating friction in the hiring process and revolutionizing the way companies recruit top talent. CareerTours has cross-posting partnerships with Google, MySpace, Oodle, Indeed, Simply Hired, and Jobster to provide maximum exposure for its clients.